Ultrasound initiates and promotes the nucleation and crystallization of organic molecules. The control over crystallization and precipitation processes is important to ensure a high product quality. The main advantages of ultrasonic crystallization and precipitation beside a full process control are namely a drastically faster induction time, a lower oversaturation level, and the control over crystal growth. 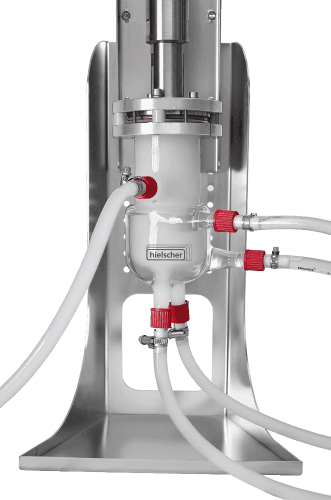 Hielscher supplies reliable and user-friendly ultrasonic equipment for successful sonocrystallization and sonoprecipitation as batch, continuous or in-situ reaction. The application of ultrasonic waves during crystallization and precipitation have various positive effects on the process. Both, crystallization and precipitation are determined as solubility-related processes meaning that a solid – either crystal or precipitate – is formed from an oversaturated solution. The difference between crystallization and precipitation lies in the formation process and the final product formed. During crystallization, a crystal network is selectively and slowly formed from organic molecules resulting in a pure cristalline, polymorph compound. A precipitation process is characterized by the rapid formation of a solid from an oversaturated solution creating an crystalline or amorphous solid. Crystallization and precipitation are sometimes hardly to mark-off because many organics actually appear first as amorphous noncrystalline solids which later turn truly crystalline. In these cases nucleation is difficult to separate from precipitation of an amorphous solid. The crystallization and precipitation process is determined by two major steps, the nucleation and the crystal growth. To initiate nucleation, the solutes in an oversaturated solution accumulate forming clusters. Those clusters build the nuclei from which the solids grow. Crystallization and precipitation are normally either very selectively or very rapidly propagating processes and thereby hardly to control. The result is that in general, nucleation occurs randomly, so that the quality of the resulting crystals (precipitants) is uncontrolled. Accordingly, the outcoming crystals have a untailored crystal size, are unevenly distributed and non-uniformly shaped. Such randomly precipitated crystals cause major quality problems since crystal size, crystal distribution and morphology are crucial quality criteria of the precipitated particles. An uncontrolled crystallization and precipitation means a poor product. An ultrasonically assisted crystallization (sonocrystallization) and precipitation (sonoprecipitation) allows for the exact control over the process conditions. All important parameters of the ultrasonic crystallization can be precisely influenced – resulting in a controlled nucleation and crystallization. The ultrasonically precipitated crystals feature have a more uniform size and more cubic morphology. 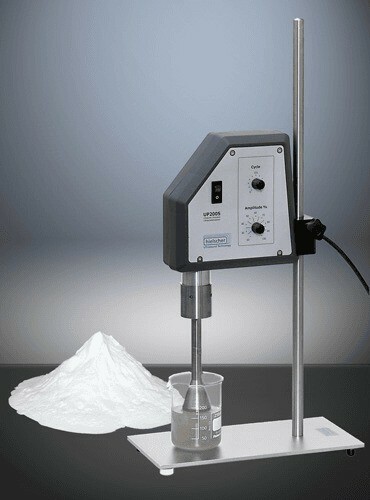 The controlled conditions of sonocrystallization allow for reproducibility. All results achieved in small scale, can be up-scaled completely linear. Ultrasonic crystallization and precipitation enable for the sophisticated production of crystalline nano-particles – in both, lab and industrial scale. 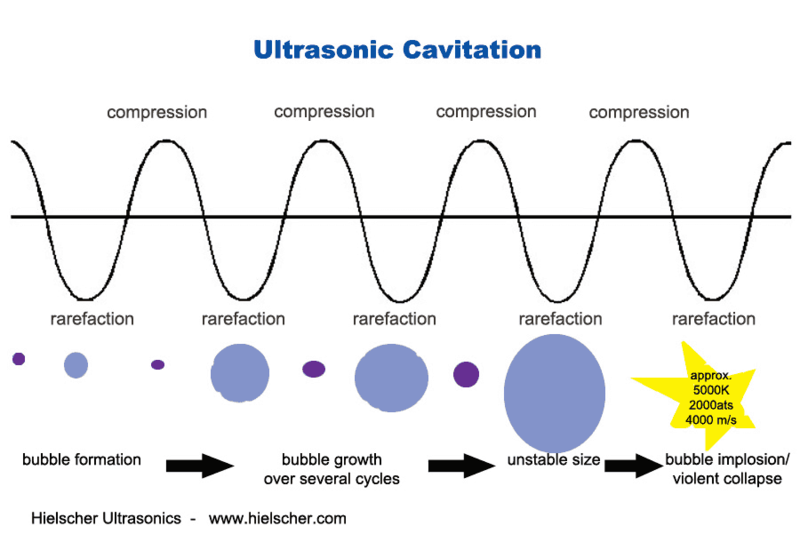 When highly energetic ultrasonic waves are coupled into liquids, alternating high pressure/ low pressure cycles create bubbles or voids in the liquid. Those bubbles grow over several cycles until they cannot absorp more energy so that they collapse violently during a high pressure cycle. The phenomenon of such violent bubble implosions is known as cavitation and is characterized by local extreme conditions such as very high temperatures, high cooling rates, high pressure differentials, shock waves and liquid jets. The effects of ultrasonic cavitation promote crystallization and precipitation providing a very homogeneous mixing of the precursors. Ultrasonic dissolving is a proven method to produce oversaturated/ supersaturated solutions. The intense mixing and the thereby improved mass transfer improves the seeding of the nuclei. The ultrasonic shockwaves assist the formation of the nuclei. The more nuclei are seeded, the finer and faster will occur the crystal growth. As ultrasonic cavitation can be very precisely controlled, it is possible to control the crystallization process. Naturally existing barriers for nucleation are easily overcome due to the ultrasonic forces. Sonication assists during so-called secondary nucleation too since the powerful ultrasonic cavitation breaks and deagglomerates larger crystals or agglomerates. With ultrasound, a pre-treatment of the precursors is normally not necessary since sonication enhances the reaction kinetics. The short application of ultrasound waves to a supersaturated solution can initiate the seeding and formation of nuclei. As sonication is only applied during the initial stage, the subsequent crystal growth proceeds unimpeded resulting in larger crystals. The continuous irradiation of the supersaturated solution results in small crystals since the unpaused ultrasonication creates a lot of nuclei resulting in the growth of many small crystals. Pulsed ultrasound means the application of ultrasound in determined intervals. A precisely controlled input of ultrasonic energy allows to influence the crystal growth in order to obtain a tailored crystal size. 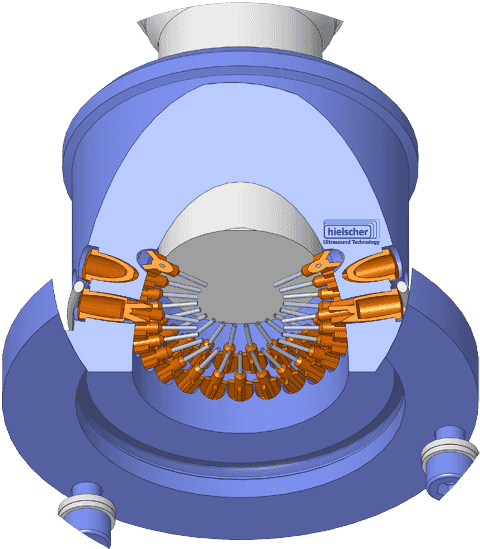 Sono-crystallization and sono-precipitation processes can be carried out in batches or closed reactors, as continuous inline process or as in-situ reaction. 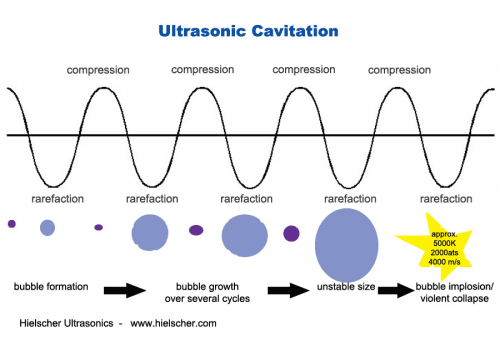 Hielscher Ultrasonics supplies you the perfectly suitable ultrasonic device for your specific sono-crystallization & sono-precipitation process – whether in research purpose in lab and bench-top scale or for industrial production. Our broad product range covers your needs. All ultrasonicators can be set to ultrasonic pulsation cycles – a feature that allows to influence a tailored crystal size. 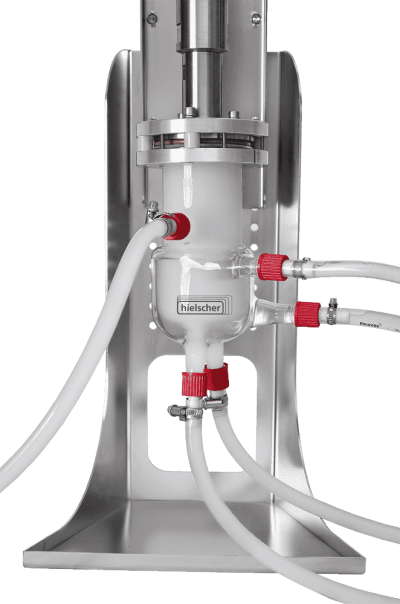 To ameliorate the benefits ultrasonic crystallization even more, the use of Hielscher’s flow cell insert MultiPhaseCavitator is recommended. This special insert provides the injection of the precursor through 48 fine cannulas improving the initial seeding of the nuclei. The precursors can be exactly dosed resulting in a high controllability over the crystallization process. Deora, N.S. ; Misra, N.N. ; Deswal, A.; Mishra, H.N. ; Cullen, P.J. ; Tiwari B.K. (2013): Ultrasound for Improved Crystallisation in Food Processing. Food Engineering Reviews, 5/1, 2013. 36-44. Jagtap, Vaibhavkumar A.; Vidyasagar, G.; Dvivedi, S. C. (2014): Solubility enhancement of rosiglitazone by using melt sonocrystallization technique. Journal of Ultrasound 17/1., 2014. 27-32. Jiang, Siyi (2012): An Examination of Sonocrystallization Kinetics of L-Glutamic Acid. Doctoral Thesis at University of Leeds 2012. Luque de Castro, M.D. ; Priego-Capote, F. (2007): Ultrasound-assisted crystallization (sonocrystallization). Ultrasonics Sonochemistry 14/6, 2007. 717-724. Ruecroft, Graham; Hipkiss, David; Ly, Tuan; Maxted, Neil; Cains, Peter W. (2005): Sonocrystallization: The Use of Ultrasound for Improved Industrial Crystallization. Organic Process Research and Development 9/6, 2005. 923–932. Sander, John R.G. ; Zeiger, Brad W.; Suslick, Kenneth S. (2014): Sonocrystallization and sonofragmentation. Ultrasonics Sonochemistry 21/6, 2014. 1908-1915. The application of intense ultrasound waves to liquids, liquid-solid and liquid-gas mixtures contributes to manifold processes in materials science, chemistry, biology and biotechnology. 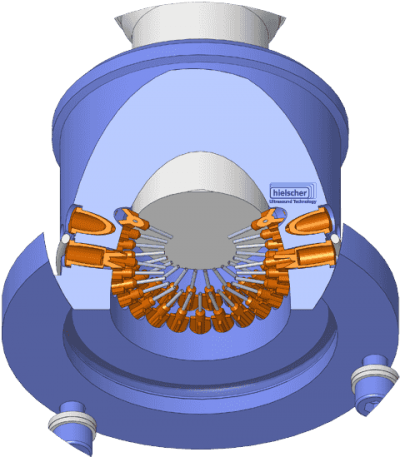 Similar to its manifold applications, the coupling of ultrasonic waves into liquids or slurries is named with various terms that describe the sonication process. Common terms are: sonication, ultrasonication, sonification, ultrasonic irradiation, insonation, sonorisation, and insonification.